ADDISON, TEXAS – (CT&P) – Rick Perry announced his plans to run for president yesterday in an abandoned airplane hangar normally used to house illegal Mexican slave laborers. 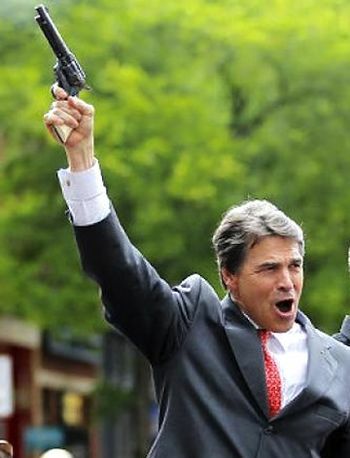 Mr. Perry used to the occasion to introduce his campaign theme song, “Kill ‘Em All and Let God Sort ‘Em Out,” a bizarre country western rap tune that Perry hopes will secure his gun-toting, Bible-thumping, knuckle-dragging base of poor white trash. In his speech, Mr. Perry, 65, sought to separate himself from the Republican pack by casting himself as a leader who has done the work rather than a politician who talks about doing it, pointing to his executions of hundreds of minority prisoners and efforts to stop black folks and poor people from voting in elections. He also emphasized that his 14-year tenure as governor of a state with one of the largest populations of lunatics and paranoid conspiracy theorists in the world gave him practical experience in appeasing oppressed masses of idiots without the sense God gave a goat. “The question of every candidate will be this: When have you led?” Mr. Perry said. “Leadership is not a speech on the Senate floor. It’s not what you say. It’s what you have done. When have my opponents personally kicked-in the teeth of a starving Central American child trying to cross the border for food? When have they shut down Planned Parenthood clinics and forced poor women to travel hours to exercise their constitutional rights? When have they gone out and acted like a complete moron with Fox News personalities? But whether Mr. Perry has done enough to repair the damage from his failed run in 2012 and move out of the second tier of candidates remains unclear. 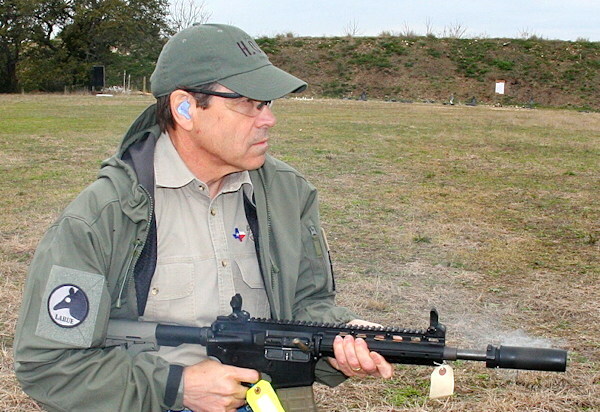 Even in Texas, Mr. Perry has lost crucial support to some of his rivals. Steve Munisteri, a former chairman of the Republican Party of Texas, has been heading Senator Rand Paul’s presidential campaign in Texas. Many of the grass-roots Tea Party lunatic fringe activists in Texas have flocked to unbalanced dingbat Ted Cruz, while some of those in the more mainstream Texas Republican establishment are supporting Mr. Bush, whose son, George P. Bush, is the state’s new land commissioner. 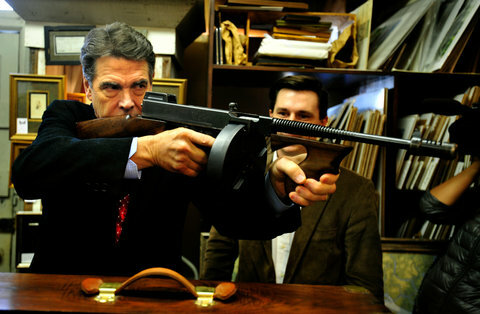 Mr. Perry is scheduled to visit 29 gun shows around the state of Texas over the weekend before attending an illegal immigrant turkey shoot/fund-raiser down on the border on Monday. Only time will tell if he has a shot at the Republican nomination. Yes, absolutely! I will really miss that dude. Man, no kidding. I’ve already begun mourning.